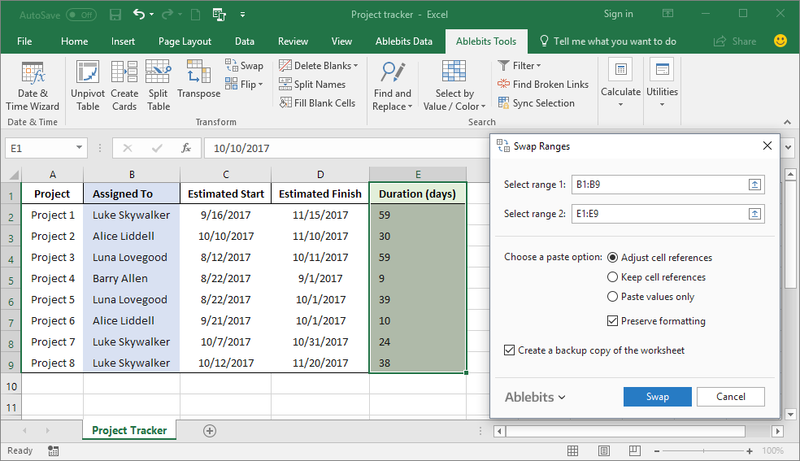 Swap Ranges for Excel enables you to move any two columns, rows, ranges, or individual cells in seconds. Though your tables will be re-arranged, the original data formatting will be preserved, and all of your formulas will keep working properly. Swap columns and other ranges in Excel Exchange data between two columns, rows, ranges, or cells with a mouse click. Select swapping options Choose to keep or adjust cell references in formulas, or paste values only. Keep formatting of the original range if needed It's up to you whether to apply the format of the destination range or keep source formatting. Switch data between two worksheets or workbooks The tool can even swap ranges in two different worksheets or workbooks. What is Swap Ranges and what do I need it for? 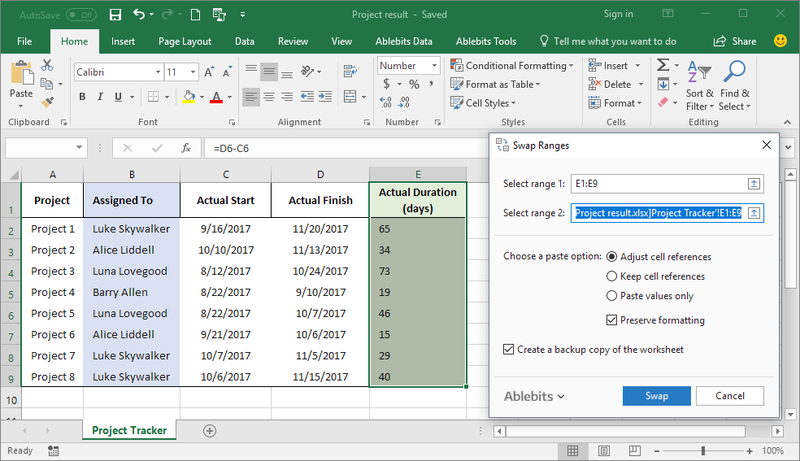 Swap Ranges for Excel helps you switch the contents of two ranges without copying and pasting. 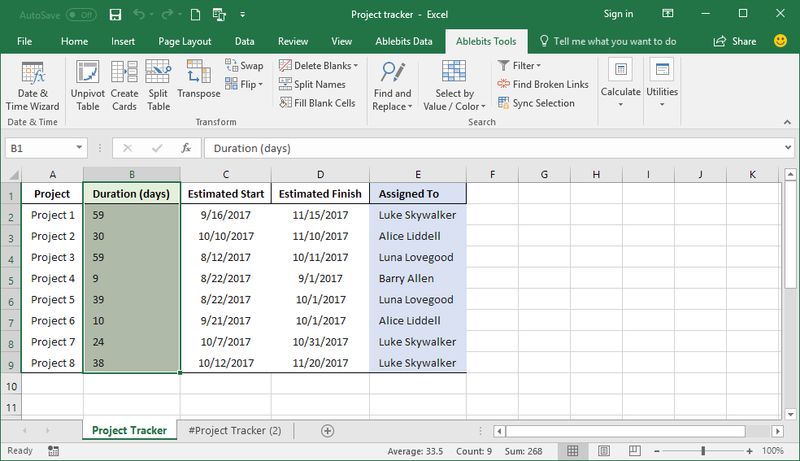 Swap columns in Excel or choose to interchange the data in rows or separate cells, and bring the format and cell references along if you need them. Doesn't Microsoft Excel swaps columns without any add-ins? You can use Shift on your keyboard to drag-and-drop one column to another, but it won't work with non-adjacent columns and rows. Besides, all cell references will be pulled as well. Our add-in swaps columns in Excel regardless their position in the list. Also, it's up to you to decide whether to keep or change cell references in formulas. How does Swap Ranges work? Select the first and second ranges to switch. Choose a paste option: adjust, keep, or delete cell references. Decide if you want to preserve formatting. See if you need a backup copy of your current table. Can I swap more than two ranges at the same time? 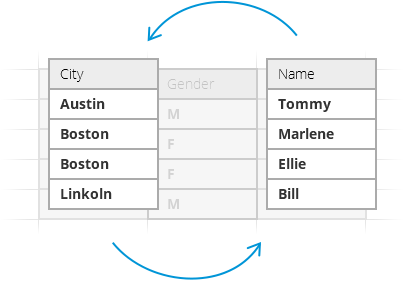 No, the add-in is designed to swap two columns, rows, or cells at once.